Uncover the mystery of the hotel in an exciting new game in the "I'm looking for" genre. Dr. Walt was called to the hotel to see an alleged ill guest. But instead of treating the person he is to investigate a very strange crime. Walt is quite a clever man, but without you, he cannot cope anyway. One can only envy your discipline and resourcefulness! 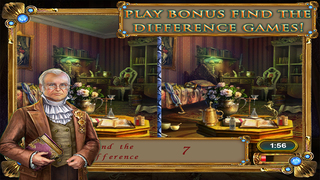 During the investigation, look for the hidden objects according to the list and silhouettes and play mini-games. To simplify your search for objects or navigate further action use the hint. The enemy won’t go away!